Your Virtual Visa Prepaid Reward Card will be delivered to you same day (if the order is uploaded and paid for before noon) via email. That email will be sent to you by notification@prepaiddigitalsolutions.com with a subject line of "Your Prepaid Card Has Arrived!". Simply click the link to access your Virtual Visa Reward card, ready for use instantly! Spend it online or add it to your favorite mobile app. All the information you need to use and track your card, including balance and spend history, is available online in one secure, convenient place. If you expect multiple payments but still want the convenience of one prepaid card, follow the instructions on the website to save up multiple rewards for later. You can combine them for one, larger card when you’re ready. National Gift Card is the best place for you to order Visa Reward Cards in bulk. We are the experts in all things gift cards and can set up your gift card solutions program for you today. 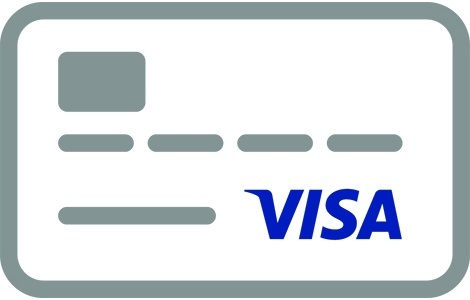 Please contact us for more information on Visa Prepaid card bulk, direct-to-recipient, or individual fulfillment for your reward card program. Contact us online or call us at 888-472-8747 today.